View cart “Razer Taipan 3500DPI Gaming Mouse Original USB Wired Ergonomic PC Gamer Mouse” has been added to your cart. 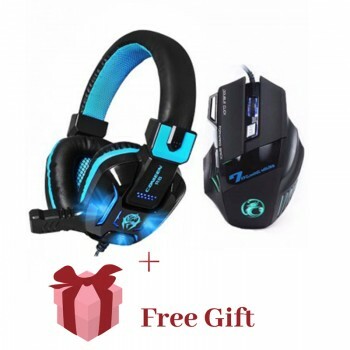 Notice: This item include: One Gaming Headphone+ One Gaming Mouse(gift) + One Gaming Mouse Pad(gift). Surface high light technology wear scratch 40mm vacuum speaker shock sound. sound clear and thorough restore the game soundtrack. ergonomic design to wear to adapt to different head shape. wearing lightweight strong and comfortable. wearing soft leather. built-in high elasticity steel bars. can be arbitrary 360-degree bend. not easily broken or deformed. wearing no pressure. comfortable and absorbent breathable mesh padded headset. microphone fixed tube. longer life. 3.5mm double plug. high tensile strength braided wire. not aging. anti pull. durable. 1 x Gaming Mouse Pad(gift).